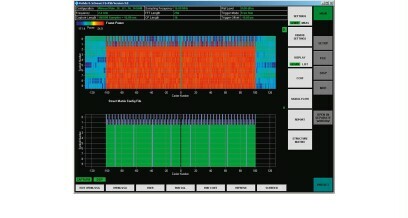 The R&S®FS‑K96PC OFDM analysis software offers maximum flexibility for adapting the analyzer to signal requirements. 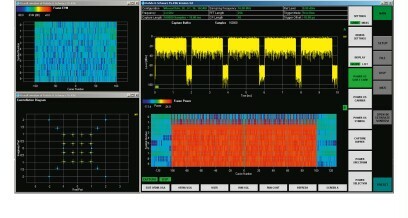 Thanks to this flexibility, users can define frequency, bandwidths, sample rate and guard interval length for the relevant OFDM signal. Many other parameters can be modified as needed, e.g. memory depth or trigger settings. The software offers a high degree of freedom when it comes to measurement parameters. 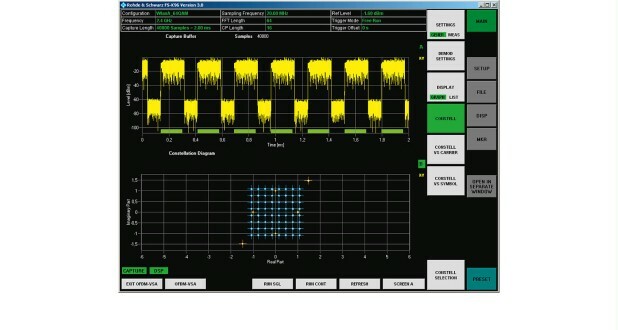 In addition to the user-definable OFDM demodulator, general parameters such as trigger, synchronization and tracking can be set manually. In addition to a numeric table that lists EVM results or the I/Q offset, the R&S®FS‑K96PC software provides numerous graphical results that make error analysis easy. 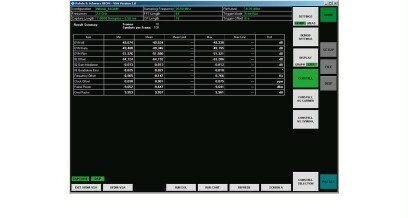 Multiple windows can be configured easily to show the most important and most often used graphical results. The general parameters can be entered directly in the R&S®FS‑K96PC application. A configuration file is available for additional OFDM parameters. This file allows users to define the OFDM demodulator in detail. 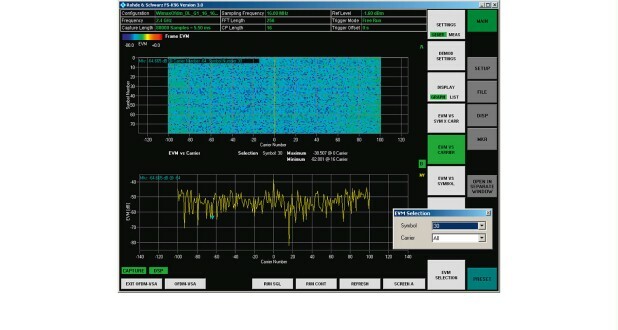 Basic OFDM parameters such as bandwidth, sample rate, FFT length and cycle prefix length can be directly defined allowing users to verify these parameters without a configuration file. Moreover, they can obtain measurement results for CCDF and various power measurements (power spectrum, power versus symbol, power versus carrier, power versus symbol and carrier). The configuration file defines all parameters of an OFDM signal in detail, thereby allowing the software to perform demodulation and further analysis of OFDM signals configured in almost any manner. This file lets users enter all parameters that the software requires in order to carry out frame synchronization and demodulation. Available results include the various EVM and channel measurements such as EVM for each carrier, group delay, or impulse response. In addition to the parameters in the configuration file, parameters such as synchronization and tracking can also be set manually. These setting capabilities make error analysis easy. 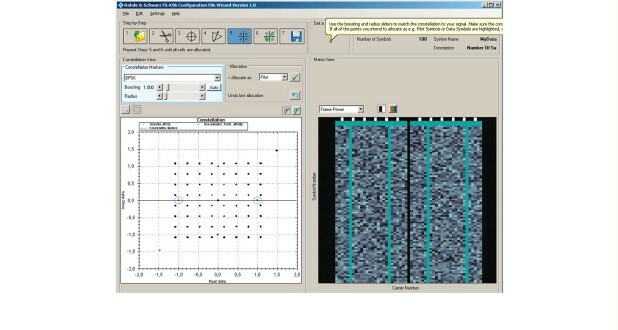 Plus, it is possible, for example, to compensate for the frequency error of the measurement signal in the measurement results by using the phase tracking feature.